The handcrafted Oxbridge water rower has a water-encased flywheel with self-regulating resistance to mimic natural rowing. It provides an instant fluid connection at the top of the stroke and continually throughout the pull to simulate the feel of an oar moving through water. The Series 4 performance monitor displays workout intensity, stroke rate, heart rate, zone bar, time, distance and more in six windows. Other features on the Oxbridge water rower console include six QuickSelection buttons and three navigation buttons. The monitor is compatible with an optional heart rate chest strap and receiver. The Oxbridge rowing machine is the cherry wood model in the lineup of water rowers. It is handcrafted using premium Cherry wood finished in Danish oil. This hardwood provides aesthetic beauty and a stable frame that deadens noise and vibration. The water flywheel sits in an enclosed see-through water tank creating a self-regulating resistance system. Inside the tank are paddles that revolve in the water creating mass and drag just like a boat and oars moving through water. When you row faster, that is, increase the pull speed on the rowing handle, drag increases and it becomes harder to row. For less resistance, row more slowly. The flywheel requires no maintenance other than you will need to add chemical tablets to keep the water clean. In reviews about the Oxbridge water rower, users mention the beautiful design and whisper quiet operation, and they also discuss the cardio workout benefits they receive. 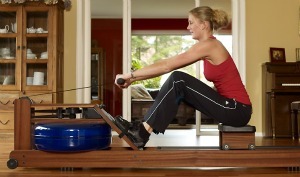 A water rowing machine will help you burn calories at a phenomenal rate as well as help develop muscles. And when it is folded away and standing vertical a corner, it can easily be mistaken for a piece of furniture. If the dark cherry wood won’t work well for your home’s interior, the water rower comes in Ash or Walnut frames too. 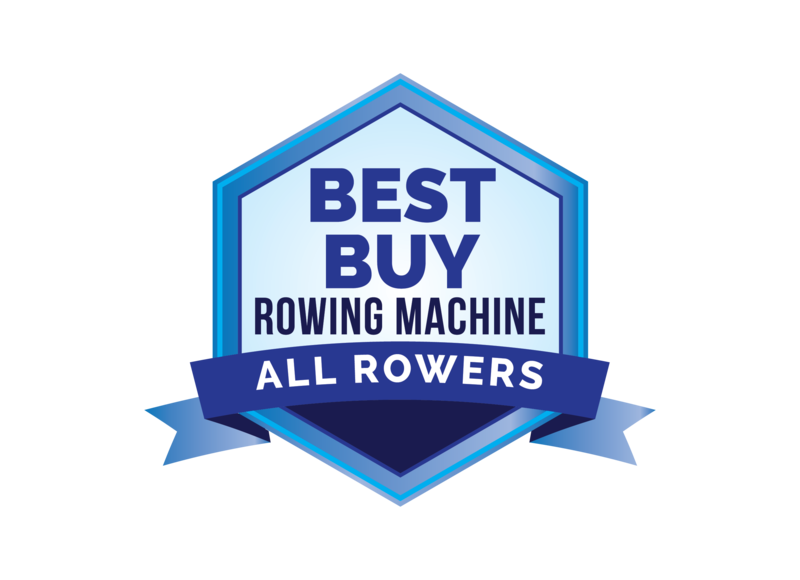 There is one significant difference between the Oxford water rowing machine and other types of rowers. 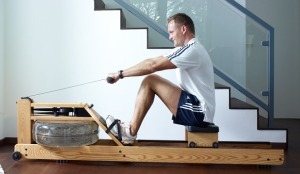 The pull motion is smooth with an even load; as the resistance begins at once at the initiation of the pull (like an oar in the water), which is a different feel from an Air Resistance rower (such as the Concept2) where the resistance gradually increases as the flywheel spins up to speed. Compared side-to-side, the air rower might seem the less strenuous of the two for users with lower back problems. At $1,279, the Oxbridge water rower is an excellent choice for a rowing machine if you want the closest replication to actually immersing a paddle in moving water. You even get a quiet and calming water slosh from the tank to add to the ambiance. It provides additional physiological benefits and aesthetic pleasure of water that other rowers can’t match.